Although rivers carry large amounts of organic material to the oceans, little is known about what fate it meets when it reaches the sea. In this study we are investigating the fate of the carbon in this organic matter by the use of a numerical model in combination with ship measurements from the northern Baltic Sea. Our results suggests that there is substantial remineralization taking place, transforming the organic carbon into CO2, which is released to the atmosphere. Uncertainties are estimated in Baltic Sea climate projections by performing scenarios combining 4 Global Climate Models, 2 future gas emissions (RCP4.5, RCP8.5) and 3 nutrient load scenarios. Results on primary production, nitrogen fixation, and hypoxic areas show that uncertainties caused by the nutrients loads are greater than uncertainties due to GCMs and RCPs. In all scenarios, nutrient load abatement strategy, Baltic Sea Action Plan, will lead to an improvement in the environmental state. The Baltic Sea is seasonally ice covered with intense wintertime ship traffic and a sensitive ecosystem. Understanding the sea-ice pack is important for climate effect studies and forecasting. A NEMO-LIM3.6-based model setup for the North Sea/Baltic Sea is introduced, including a method for ice in the coastal zone. We evaluate different sea-ice parameters and overall find that the model agrees well with the observation though deformed ice is more challenging to capture. We quantify the sea ice thickness variability in the Bay of Bothnia using various observational data sets. For the first time we use helicopter and shipborne electromagnetic soundings to study changes in drift ice of the Bay of Bothnia. Our results show that the interannual variability of ice thickness is larger in the drift ice zone than in the fast ice zone. Furthermore, the mean thickness of heavily ridged ice near the coast can be several times larger than that of fast ice. The Southern Ocean is a sink for anthropogenic carbon. Projections of how this sink will evolve in an ever-warming climate are based on coupled ocean-circulation–biogeochemical models. 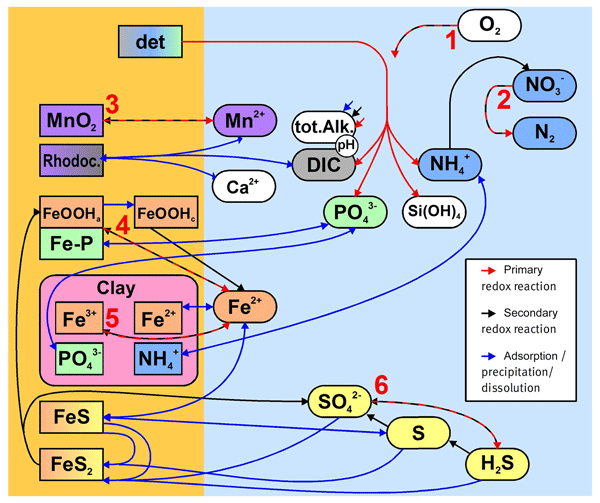 This study compares uncertainties of simulated oceanic carbon uptake associated to physical (eddy) parameterizations with those associated wtih (unconstrained) supply of bioavailable iron supply to the surface ocean. Constraining parameters in marine pelagic ecosystem models – is it actually feasible with typical observations of standing stocks? Marine biogeochemical ocean models are embedded into earth system models - which are, to an increasing degree, applied to project the fate of our warming world. 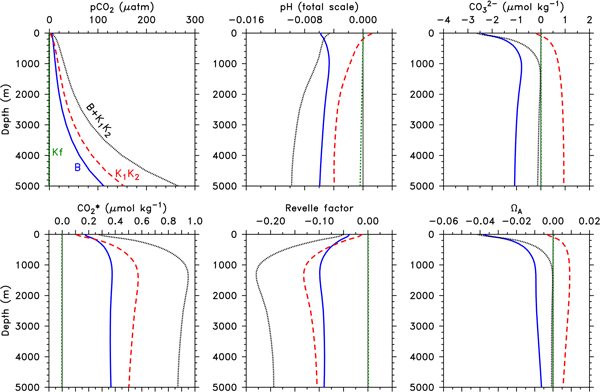 These biogeochemical models generally depend on poorly constrained model parameters. In this study we investigate the the demands on observations for an objective estimation of such parameters. A major result is that even modest noise (10%) inherent to observations can hinder the assignment of reasonable parameters. 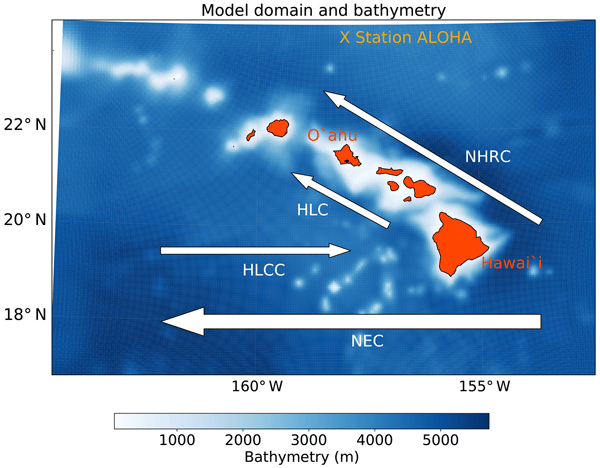 This paper demonstrates the improvements made to an operational ocean forecast model around the Hawaiian Islands by performing a reanalysis of the model over a 10-year period. Using a number of different measurements we show the role a variety of observations play in producing the forecast, in particular the contribution of high-frequency radar. 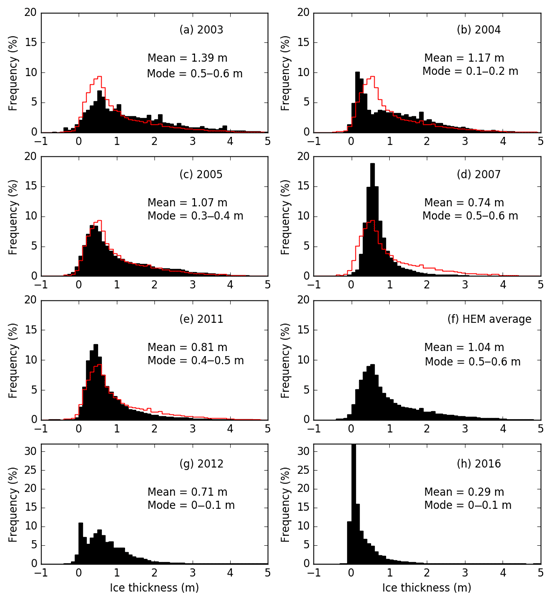 This article compares global mesoscale ocean forecasts with different data assimilation cycle lengths. Mean absolute increment is used to quantify differences in the overall impact of observations. Greater observation impact does not necessarily improve a forecast system. Experiments show a 1-day cycle generates improved 7-day forecasts when compared to a 3-day cycle. Cycle length is an important choice that influences system bias and predictability. This study focuses on the impact of the model vertical mixing parameterisation on the representation of the mixed layer depth (MLD) in ocean forecast models. 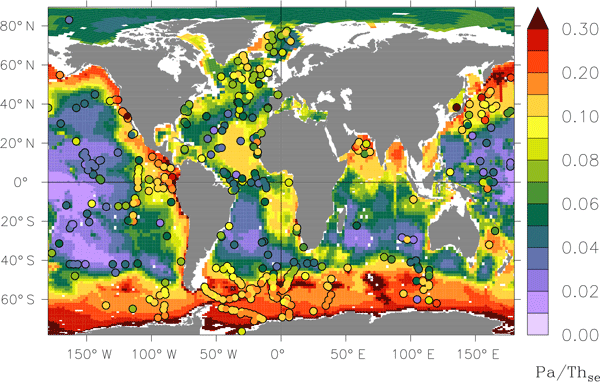 We compare data from two recent versions of the OceanMAPS forecast system, and find that while there were large improvements in the later version of the model, the skill of each parameterisation varies with spatial location. We present an ocean model of the natural radioactive isotopes thorium-230 and protactinium-231. These isotopes are often used to investigate past ocean circulation and particle transport. They are removed by particles produced by plankton and from uplifted desert dust that is deposited into the ocean. We approach observed dissolved and adsorbed Th-230 and Pa-231 activities. The Pa-231 / Th-230 sedimentation ratio is reproduced as well; this quantity can be used as a proxy for ocean circulation. We have developed a computer code with ability to predict how various substances and objects drift in the ocean. This may be used to, e.g. predict the drift of oil to aid cleanup operations, the drift of man-over-board or lifeboats to aid search and rescue operations, or the drift of fish eggs and larvae to understand and manage fish stocks. This new code merges all such applications into one software tool, allowing to optimise and channel any available resources and developments. For developing a system for Arctic research, we evaluate the Arctic Ocean simulated by FESOM. 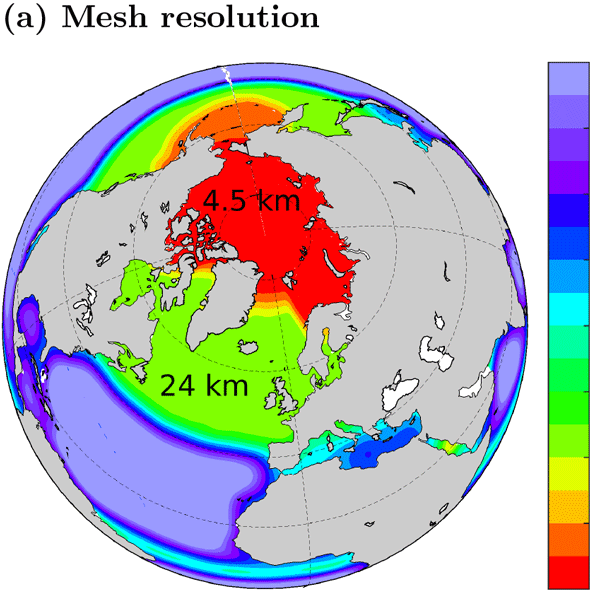 We use two global meshes differing in the horizontal resolution only in the Arctic Ocean (24 vs. 4.5 km). The high resolution significantly improves the model's representation of the Arctic Ocean. The most pronounced improvement is in the Arctic intermediate layer. The high resolution also improves the ocean surface circulation, mainly through a better representation of the Canadian Arctic Archipelago. 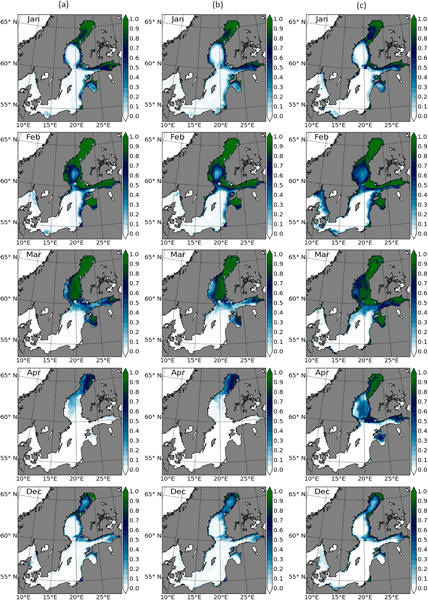 This paper describes the next-generation ocean forecast model for the European NW shelf, AMM15 (Atlantic Margin Model, 1.5 km resolution). The current forecast system has a resolution of 7 km. While this is sufficient to represent large-scale circulation, many dynamical features (such as eddies, frontal jets, and internal tides) can only begin to be resolved at 0–1 km resolution. Here we introduce AMM15 and demonstrate its ability to represent the mean state and variability of the region. Researchers from the Netherlands present OMUSE, a software package developed from core technology originating in the astrophysical community. Using OMUSE, oceanographic and climate researchers can develop numerical models of the ocean and the interactions between different parts of the ocean and the atmosphere. This provides a novel way to investigate, for example, the local effects of climate change on the ocean. OMUSE is freely available as open-source software. An update to an ocean modelling configuration for the European North West Shelf is described. It is assessed against observations and climatologies for 1981–2012. Sensitivities in the model configuration updates are assessed to understand changes in the model system. The model improves upon an existing model of the region, although there remain some areas with significant biases. The paper highlights the dependence upon the quality of the river inputs. A coordinated set of Arctic modeling experiments is proposed which explores how the Arctic responds to abrupt changes in external forcing by computing climate response functions (CRFs). We illustrate the approach in the context of a coarse-resolution model of the Arctic and conclude by encouraging other modeling groups to compute CRFs with their own models so that we might begin to document how robust they are to model formulation, resolution, and parameterization. 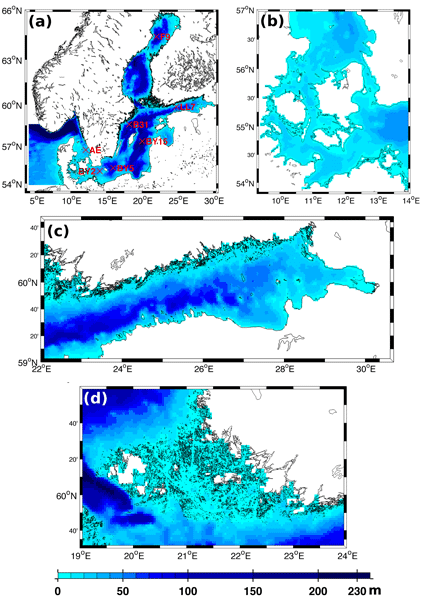 This paper presents a new benthic–pelagic biogeochemical model (BROM) that combines a relatively simple pelagic ecosystem model with a detailed biogeochemical model of the coupled cycles of N, P, Si, C, O, S, Mn, Fe in the water column, benthic boundary layer, and sediments, with a focus on oxygen and redox state. BROM should be of interest for the study of a range of environmental applications in addition to hypoxia, such as benthic nutrient recycling, redox biogeochemistry, and eutrophication. Accurately representing coastal and shelf seas in global ocean models is one of the grand challenges of Earth system science. Here, we explore what the options are for improving this by exploring what the important physical processes are that need to be represented. We use a simple scale analysis to investigate how large the resulting models would need to be. We then compare this with how computer power is increasing to provide estimates of when this might be feasible in the future. Marine phytoplankton plays a prominent role in regulating Earth’s climate. Numerical models are important tools that help us investigate the interactions between these microbes and their environment. We proposed PhytoSFDM as an open-source model to quantify size structure and functional diversity of marine phytoplankton communities. This tool allows us, in a manageable and computationally efficient way, to study patterns in planktonic ecosystems and their feedbacks with a changing environment. The Marine Virtual Laboratory (MARVL) is designed to help ocean modellers hit the ground running. Usually, setting up an ocean model involves a handful of technical steps that time and effort. MARVL provides a user-friendly interface that allows users to choose what options they want for their model, including the region, time period, and input data sets. The user then hits "go", and MARVL does the rest – delivering a "take-away bundle" that contains all the files needed to run the model. 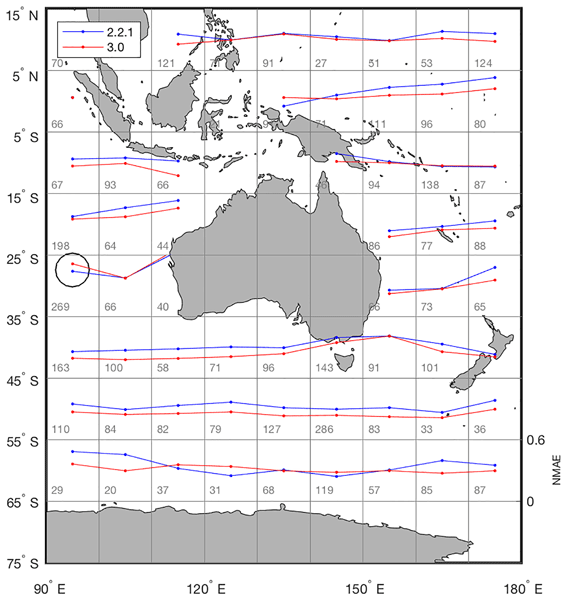 An 11-year simulation of a global eddying ocean (1/16) configuration is presented. Model performance is evaluated against observations and a twin 1/4 configuration. The model realistically represents the variability at upper and intermediate depths, the position and strength of the surface circulation, and exchanges of mass through key passages. Sea ice properties are close to satellite observations. This simulation constitutes the groundwork for future applications to short range ocean forecasting. An operational ocean forecasting system was developed to monitor the state of the Indonesian seas in terms of circulation, biogeochemistry and fisheries (INDESO project). Here we describe the skill assessment of the physical-biogeochemical coupled model configuration. 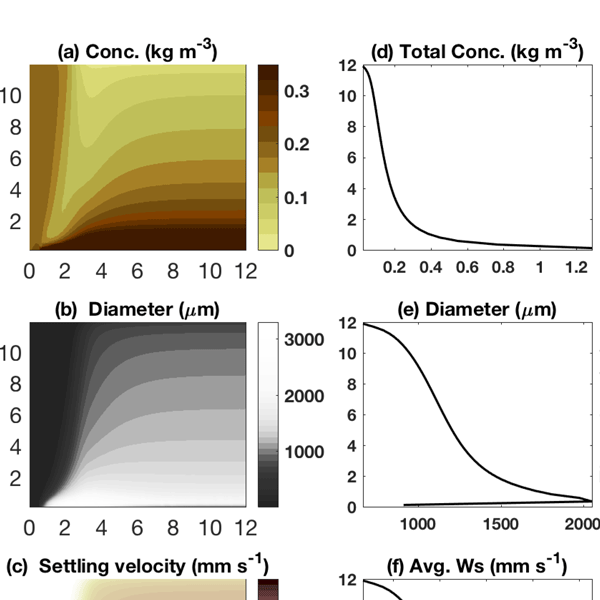 Model results reproduce the main characteristics of biogeochemical tracer distributions in space and time: phasing of chlorophyll bloom, nutrient and oxygen distributions, water mass transformation across the archipelago. 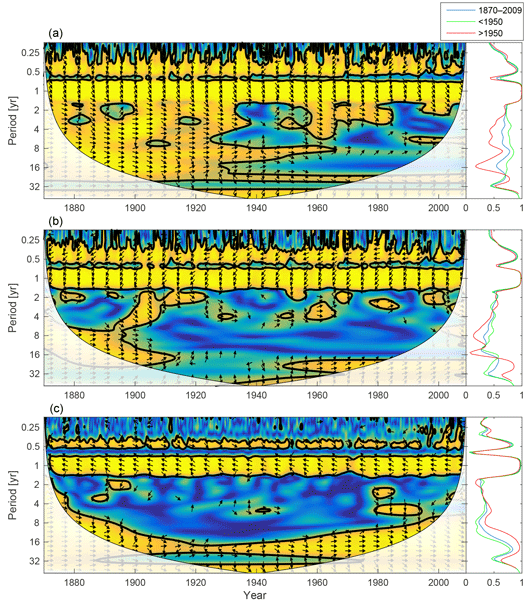 This paper includes the entire steps and processes to develop a two-way fully coupled atmosphere-ocean wave model (WEW) aiming a better description and understanding of the exchange processes near the ocean surface. WEW offers a more realistic representation of the extreme weather and sea state events over the ocean bodies and finally leads in an overall improved simulations. Our relatively shallow shelf seas are warmed at the surface in spring and summer, while strong tidal currents act to mix away the surface warmth. These competing effects strongly influence the conditions for seasonal growth of the phytoplankton that support marine food webs. 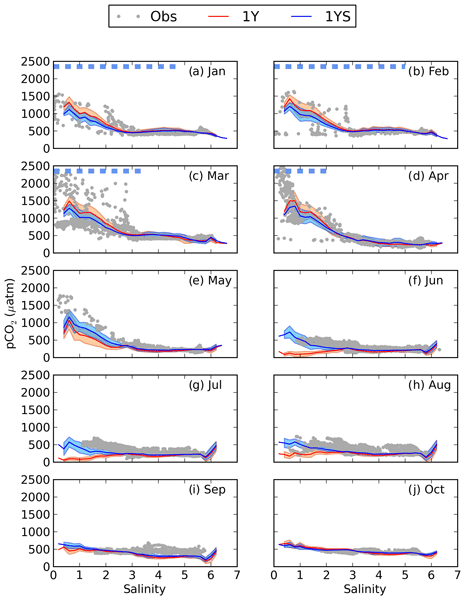 We have developed a versatile framework for fast computer modelling of shelf seas, to explore seasonal and year-to-year variations of warming and plankton productivity, tested against observations in different regions. The ECCO v4 non-linear inverse modeling framework and its reference solution are made publicly available. The inverse estimate of ocean physics and atmospheric forcing yields a dynamically consistent and global state estimate without unidentified sources of heat and salt that closely fits in situ and satellite data. Any user can reproduce it accurately. Parametric and external model uncertainties are of comparable magnitudes and generally exceed structural model uncertainties. Most ocean models, including NEMO, have unrealistic Southern Ocean deep convection. That is, through extensive areas of the Southern Ocean, they exhibit convection from the surface of the ocean to the sea floor. We find this convection to be an issue as it impacts the whole ocean circulation, notably strengthening the Antarctic Circumpolar Current. Using sensitivity experiments, we show that counter-intuitively the vertical mixing needs to be enhanced to reduce this spurious convection. Ecosystem-based marine management requires coupling/integrating multiple models in one unified scheme. The widely adopted Ecopath with Ecosim (EwE) is potentially a crucial high trophic level component of such schemes. However, being written in Visual Basic, integration of EwE with physical and/or biogeochemical oceanographic models, which were mostly written in Fortran, is complicated. We release a re-coding of EwE in Fortran (EwE-F) so as to facilitate its coupling/integration in such schemes. Biogeochemical models are increasingly used in forecasting systems. They provide parameter fields such as nutrients, chlorophyll and oxygen for scientific use and for marine management. This paper describes a model currently used for forecasting the North Atlantic and Arctic oceans on a weekly basis and the evaluation of this model against observations. 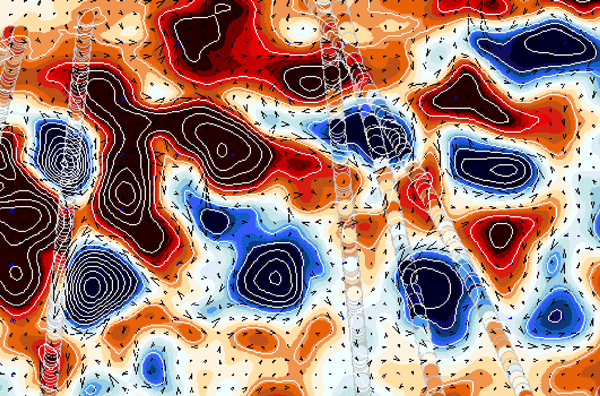 The model provides reliable fields of nutrients, while the predicted phytoplankton fields are still connected with large uncertainties. 1/12th degree resolution runs of Arctic--Atlantic were compared for the period 2003-2009. We found good representation of sea surface height and of its statistics; model temperature and salinity in general agreement with in situ measurements, but upper ocean properties in Beaufort Sea are challenging; distribution of concentration and volume of sea ice is improved when slowing down the ice and further improvements require better initial conditions and modifications to mixing. Hjøllo, S. S., Skogen, M. D., and Svendsen, E.: Exploring currents and heat within the North Sea using a numerical model, J. Marine Syst, 78, 180–192, https://doi.org/10.1016/j.jmarsys.2009.06.001, 2009. Radach, G. and Moll, A.: Review of three-dimensional ecological modelling related to the North Sea shelf system Part 2: model validation and data needs, Oceanogr. Mar. Biol., 44, 1–60, 2006.